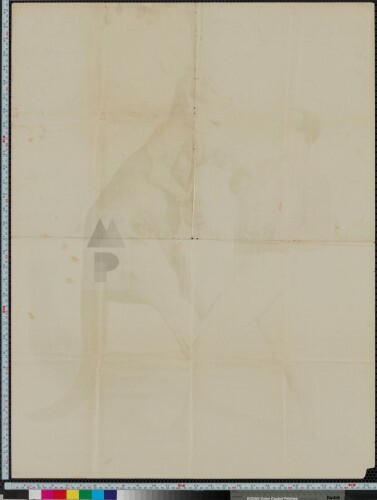 Given the ubiquity of this imagery — a kangaroo boxing a man — most people would not realize how incredibly rare original posters depicting this Australian spectacle actually are! 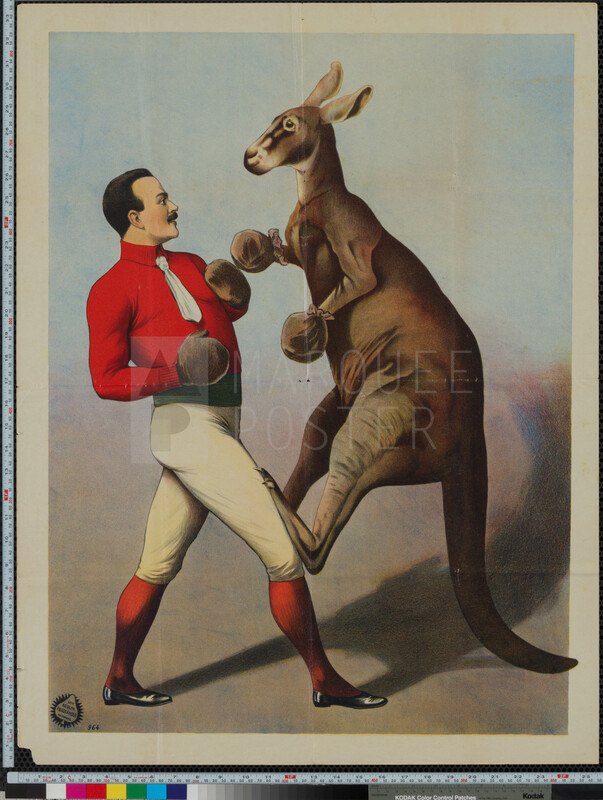 Part sport, part novelty, kangaroo boxing was exotic entertainment for the masses making it one of the most popular sideshow attractions at circuses around the world at the turn-of-the-century. It turns out this “sport” was extremely dangerous for the human competitors. While kangaroos might look amusing, almost human-like wearing boxing gloves on their short fore legs, their main attack came in the form of power blows to their opponent’s abdomen — not to mention trying to disembowl their opponents by slashing at their abdomen with their sharpened 3″ toenails. Yikes! Perhaps even more fascinating than this peculiar sport is the history of Adolph Friedländer — the famed Hamburg printer of this amazing stone lithographic poster. Friedländer printed over 9,000 posters between 1872 and 1935, with the bulk of his output between the 1880s and 1910s. 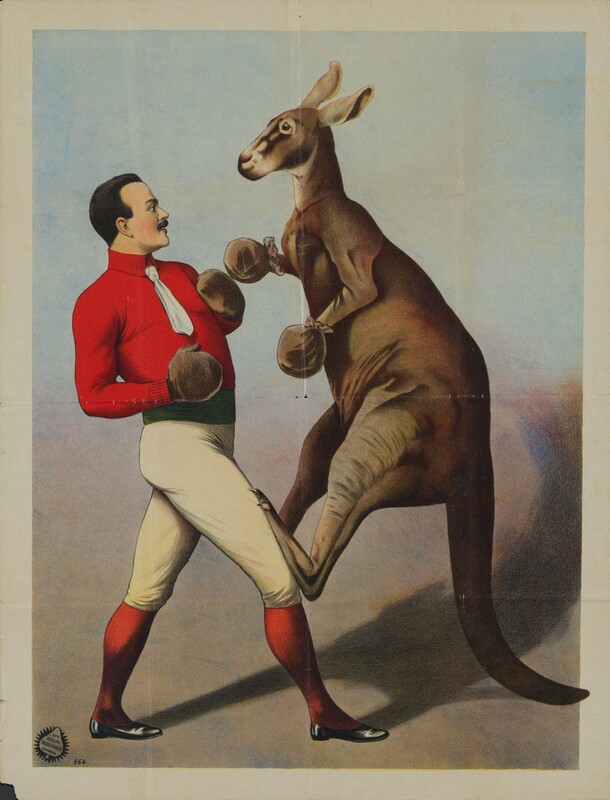 He printed posters for a variety of customers across continental Europe, but he is most well known for his circus and especially sideshow posters featuring magicians, strong men, tattooed ladies, exotic travelers, and spectacle sports like lion wrestling and this kangaroo boxing poster. Friedländer lithographs are highly collectible with most of his known posters being snapped up by eagle-eyed collectors after the publication of a 1979 Friedländer book by Ruth Malhotra — the earliest and most extensive collector of Friedländer lithographs. 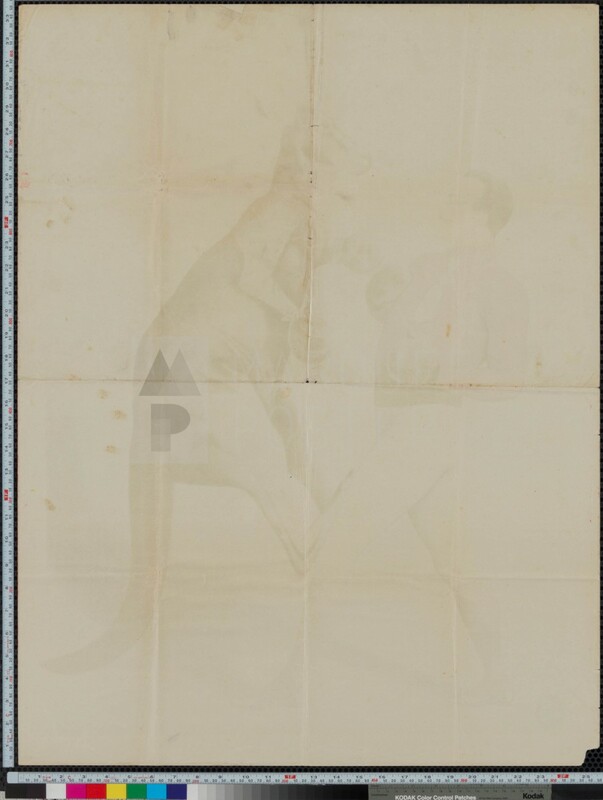 The Kangroo Boxing poster in her collection is documented in the book and is in much worse condition this incrediblely well preserved example with bright colors.